As a natural material, leather's beauty and patina are enhanced with use and time. Properly maintaining it restores and increases its beauty. Regular cleaning, polishing and protecting is recommended. This silic1 wax-based formula creates a protective shield, leaving a soft luster finish and allowing the leather to breathe as it repels the elements and prevents dirt from setting for easier cleaning. 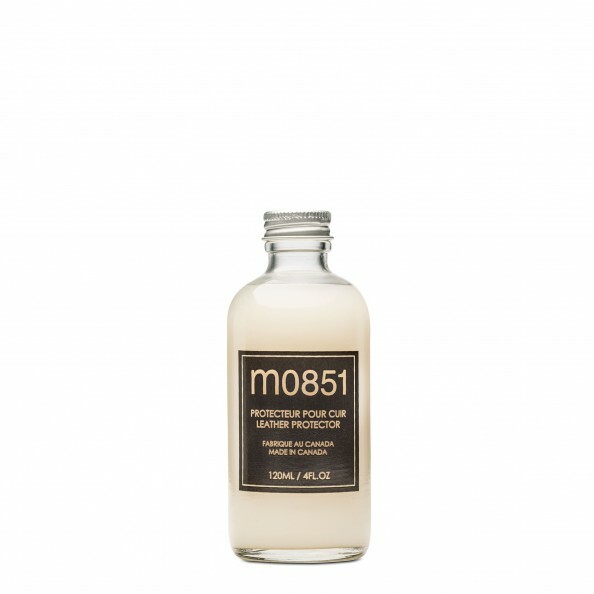 Always use the m0851 Leather Protector to recondition the leather after using the m0851 Leather Cleaner. Can also be used alone to surface clean and recondition leather. Make sure to wipe down the entire section stitch to stitch with a damp cloth and Leather Protector. Both products need to be used together, as the cleaner strips away some of the protective layers of the leather. Leather Protector reconditions it. Visit our Raw Material section to know what leather this product is appropriate for.